VLC media player (formerly VideoLAN Client) is a free and popular multimedia player that plays most multimedia files as well as DVDs, Audio CDs, VCDs, and various network streaming protocols. It also can be used as a server for unicast or multicast streams in IPv4 or IPv6 on a high-bandwidth network. 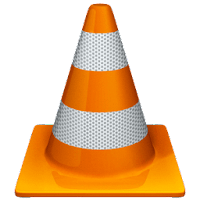 VLC is A simple player that can play most audio and video formats, including MPEG-1, MPEG-2, MPEG-4, DivX, MP3, and OGG, with no codec packs needed. Moreover, It's cross-platform app that available for desktop operating systems and mobile platforms including Windows 10 or earlier, Mac OS, Linux, Android and iOS. Disclaimer: Direct downloads for the lastest version of VLC media player 2.2.6 are provided by the official software's author, we can't guarantee safety, availability or download speed. Moreover, we don't and we won't provide any pirated/illegal versions or tools. We recommend you to avoid it as these methods can harm your device. If you like the software, buy it to support the developers. (We provide software discounts for many worldwide brands).